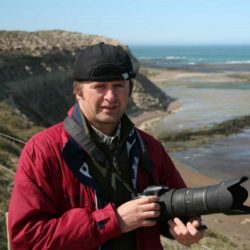 Michael graduated as a Geo-Ecologist (Diplom Geoökologe) at Potsdam University in Germany, is a qualified project manager with more than 15 years of work experience in the conservation sector (mainly in Germany, Ukraine, Belarus and Central Asia). 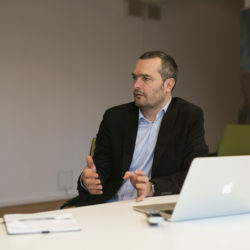 He is delegated to this position and to AHT Group AG by the Frankfurt Zoological Society (member of the Project consortium) where he heads the Europe Department. «I'm honored and pleased to lead the Project team and to make sure that work of each expert is leading us to protection of valuable nature parks». Dr. Oleg Dudkin has more than 30 years of experience in the field of biodiversity conservation (manager of more than 100 international conservation projects in Ukraine). 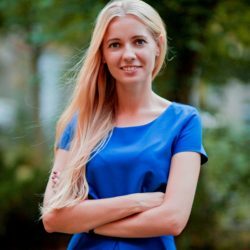 In the Project is responsible for the support of international manager of the Consultant in the sphere of technical, administrative and financial management of the project. «I am convinced that continued imbalance of functional connections in the Nature-Man system, will irreversibly lead to the extinction of the human as biological species». 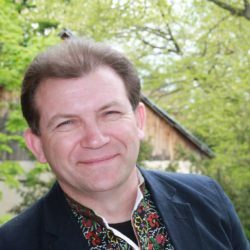 Bohdan obtained Ph.D. degree in Botany at the Institute of Ecology of the Carpathians and MSc in Biology at the Ivan Franko Lviv National University, is an Associate Professor (Senior Research Scientist). He is Whitley Award Winner 2007, prestigious international nature conservation prize. Bohdan has about 30 years of conservation management and research study experience in Ukraine and other countries of Europe and Asia. Bohdan is also the Ukraine Conservation Coordinator of WWF (member of the Project consortium). In the Project he is responsible for the conservation activities. «Ukraine has the richest virgin forests in Europe and linked biodiversity but risks losing them. This Project is valuable as it helps to prevent or at least reduce such losses». 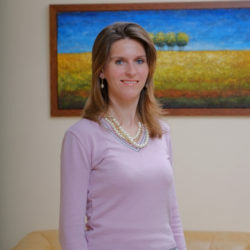 Solomiya obtained MA degree in Political Science with a certificate in International Service with specialization in International Business at the Kansas State University (USA) and Masters in International Economic Relations at Ivan Franko Lviv National University. 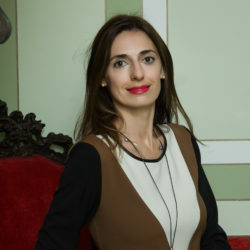 She has more than 13 years of professional experience in project management (UNIDO Programs, UNECE/WHO, ICPDR), foreign relations and financial management in both NGO and Private business sector. «Nowadays environment protection is impossible without the necessary financial and technical support. Therefore, it is very important to ensure the most effective assimilation of funds». MSc in Ecological Economics of the University of Edinburgh (UK) with 5 years experience in PR and communications (projects with the OECD, EBRD, Euro 2012 etc. ), environmental activist. Is responsible for informing about the Project and communication with target audiences. A specialist with 15 years of experience in scientific and practical activity in accounting, Ph.D., associate professor. 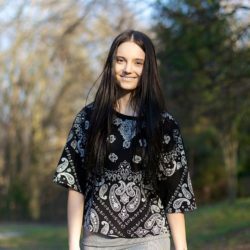 Iryna is responsible for compliance with accounting principles in the design of the project documentation. «Accounting as a universal system ensures the harmonization of economic, environmental and social interests in the economic entities in terms of sustainable development». Candidate of Geographical Sciences, Associate Professor. Taras has over 18 years of experience in nature conservation and management of international projects (UNESCO, TACIS, INTERREG, ENI CBC). The main scientific direction is the application of GIS in ecology and nature protection. Taras is a member of the WWF (member of the consortium of project executors) in Ukraine. He is responsible for nature conservation and GIS tasks in the project. 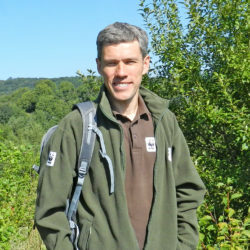 “I really value and respect people working in parks and nature reserves who are dedicated to nature conservation cause, with who I have been collaborating in different projects for many years. I know that thanks to this project and our combined efforts, we will make a significant contribution to the preservation of valuable ecosystems of the Carpathians and improve the conservation work in Ukraine. " PhD student of the Department of Geomorphology and Paleogeography of the Ivan Franko National University of Lviv. The scientific direction of research is geomorphodynamics. “Our planet is a unique creature gifted for us for safe and harmonious life. We have to cherish its beauty and originality. The intelligent attitude to nature will give our descendants the strong and confident future. To have a mission to support and protect nature is the greatest dignity which we can give backwards as a big gratitude to our mother land”.